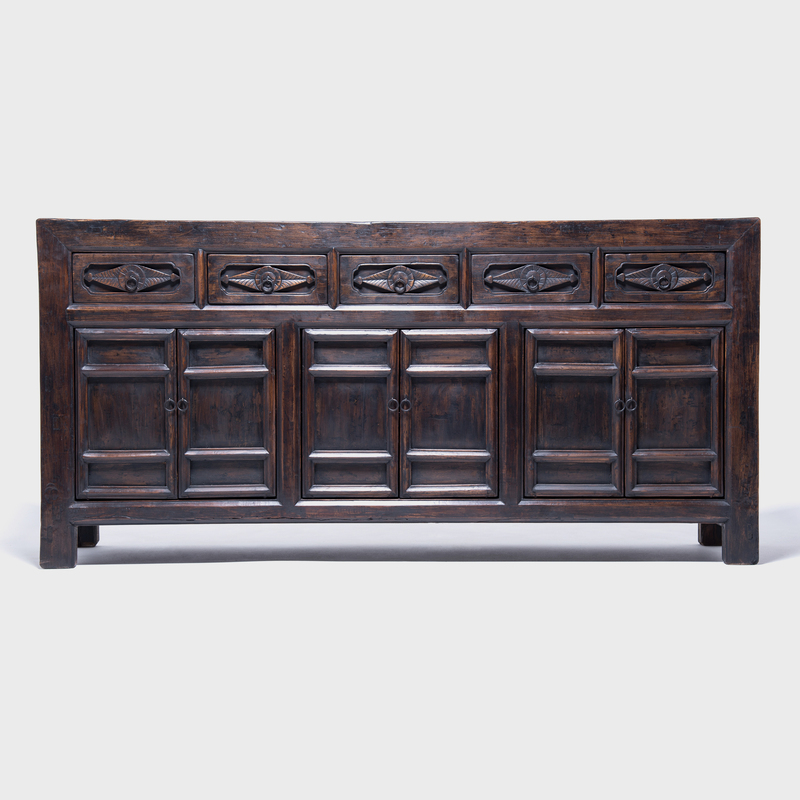 W: 39.75" D: 17.25" H: 94.5"
This beautiful compound cabinet has a strong presence. 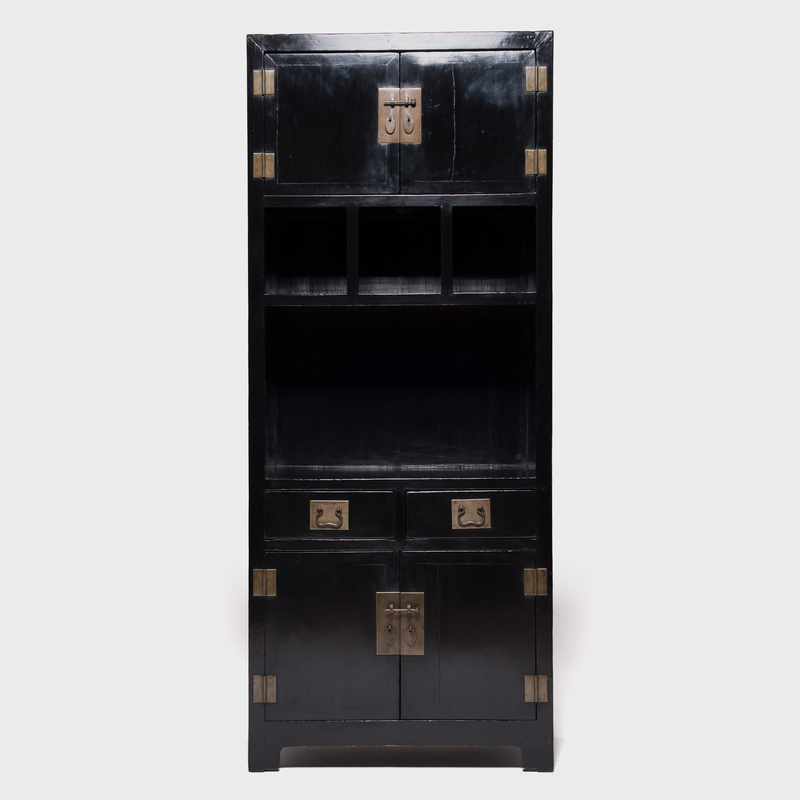 It was constructed over a century ago in Northern China, is in excellent condition and has maintained its original hand made brass hardware. 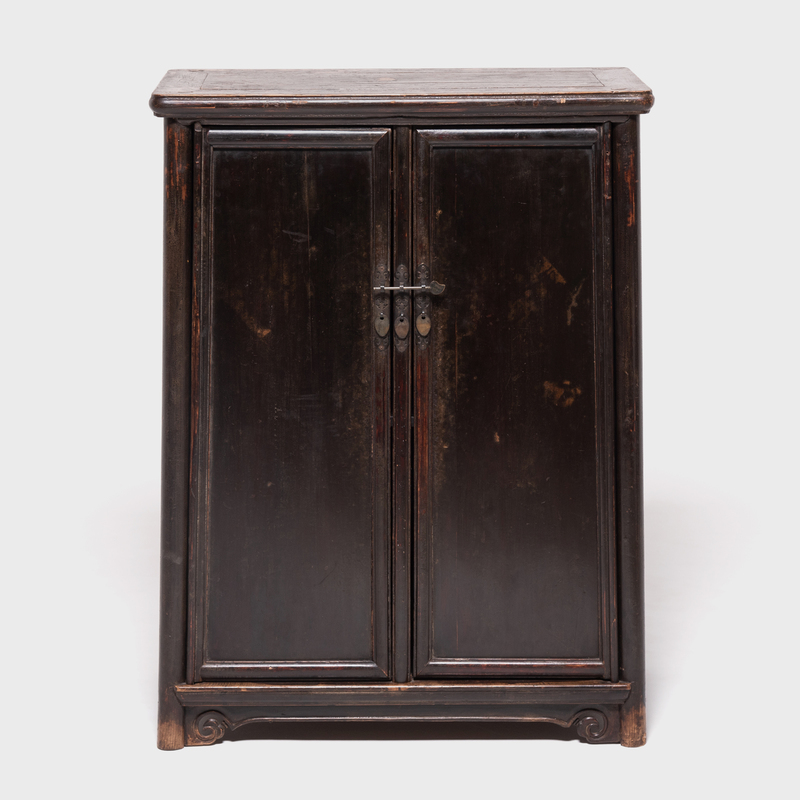 The lacquered elm wood has a rich luster: the finish was applied in many layers by practiced artisans. Breaking up the face of the cabinet is a set of display shelves. 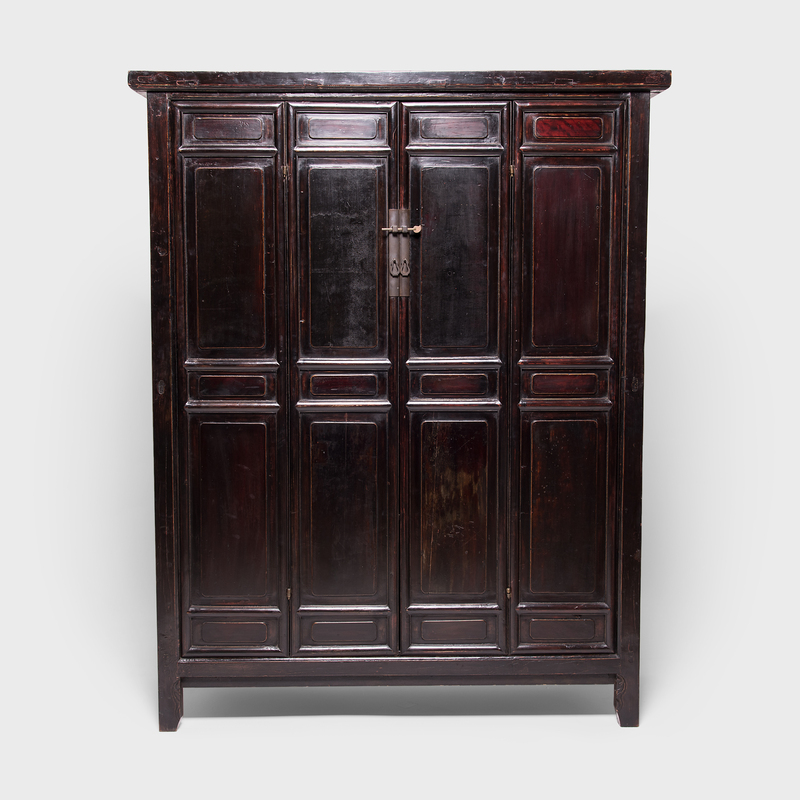 While clothes and textiles would have been stored behind the doors, precious objects, mementos and antiques would have been placed on the open shelves for display. 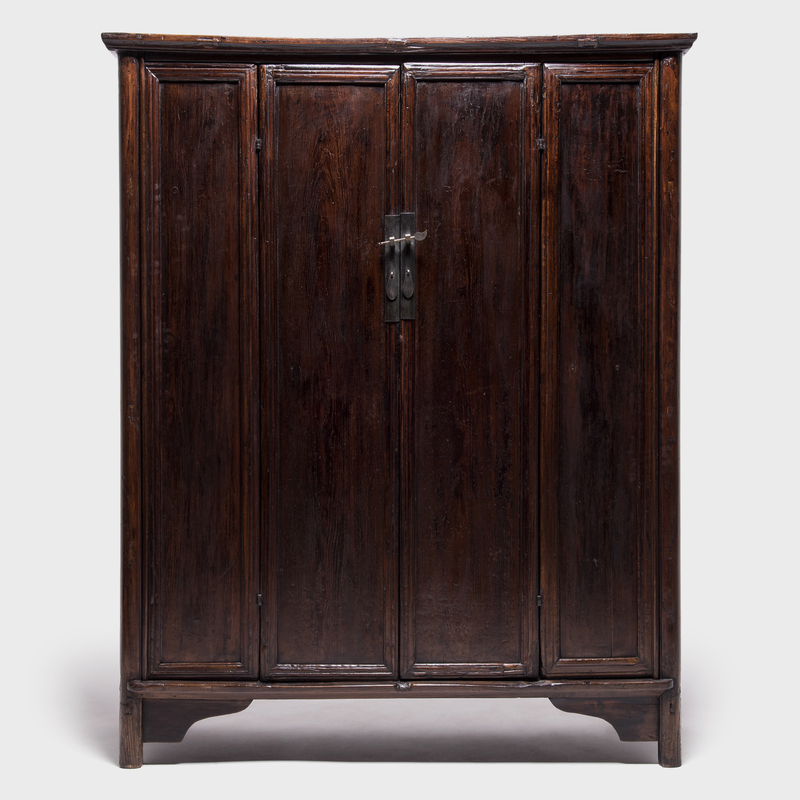 This masterful work gives us a clue that the cabinet was once the centerpiece of a wealthy gentleman’s home.